Who Will Knock the Hunger Games from the Top Spot? The Hunger Games has been number one at the box office for four weeks straight but it seems likely that will come to an end this week with the premieres of Nicholas Spar’s The Lucky One and Steve Harvey’s Think Like A Man. 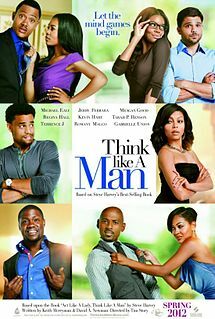 With all of the advertising for Think Like A Man starring Kevin Hart, Gabrielle Union, and many other known actors, it seems as though this will be the film to knock off The Hunger Games. Even though the former is only appearing in just over 2,000 theaters, the big name of Kevin Hart is sure going to draw people of all nationalities to see the predominantly black cast. Though it will be the end of the The Hunger Games’ run at the number 1 spot, fans should be ecstatic to know that the film has already grossed more than 540 million and counting. This entry was posted in Film, Media and tagged Blended Entertainment, Entertainment, Gabrielle Union, Hunger Games, Kevin Hart, Lucky One, movies, Nicholas Sparks, Steve Harvey, Zac Efron. Bookmark the permalink. We’ll see I think it might have one more weekend of top place in it. I would have hoped. I’ve seen the movie and loved it but I think its run as #1 will end. I hope it is #1 but early indications have shown that will not be the case.